Explore natural and manmade wonders of the Southwest in one unforgettable tour. Visit the Hoover Dam Power Plant, Visitor Center, and observation tower. 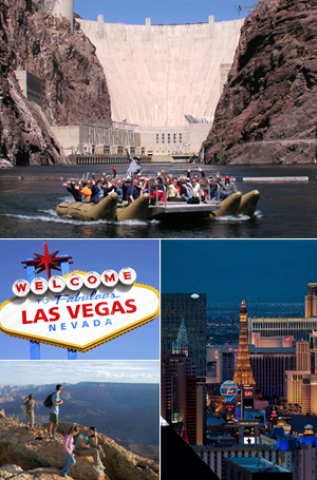 Enjoy two wonders of the Southwest—one natural, one manmade—on this tour which combines the natural wonder of the Grand Canyon and the engineering marvel of the Hoover Dam all in the same day. Pink Jeep Tours is your chauffeur today. 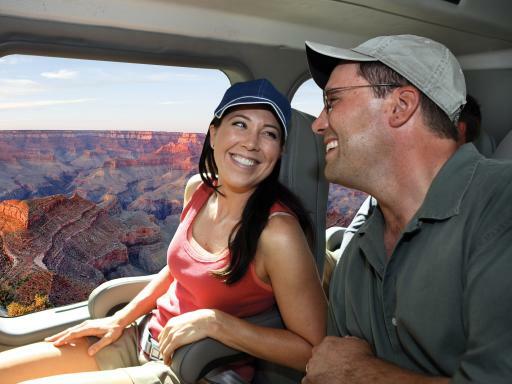 Buckle up inside a custom-designed Tour Trekker and cruise off to your first destination: The Grand Canyon. As you begin your adventure you’ll notice a change in scenery outside your window as you drive through the Mojave Desert. The road is now lined with gesturing Joshua trees that are found nowhere else in this country—or the world. 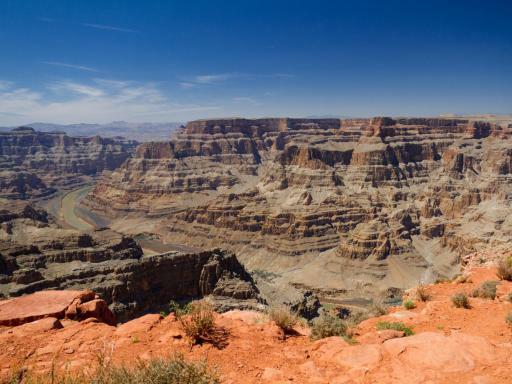 Once you arrive at the mesmeric geographical wonderland, dive into the Hualapai Nation culture at Eagle Point and witness tribal dance performances and storytelling by native members of the Hualapai Villiage. Before finding yourself lassoed back in time to the Old West at the western-themed town of Hualapai Ranch. The Wild West comes alive before your eyes with gunfights, cowboy games and cattle drives! 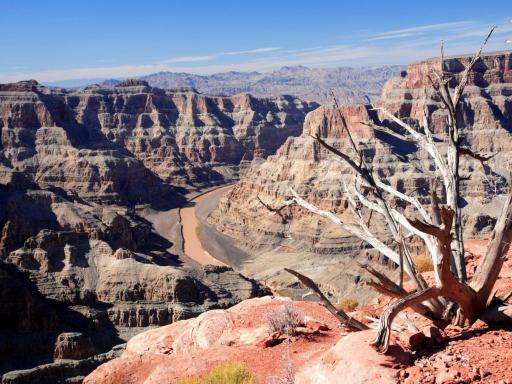 One of the most awe-inspiring viewpoints of the Grand Canyon during this tour is at Guano Point. 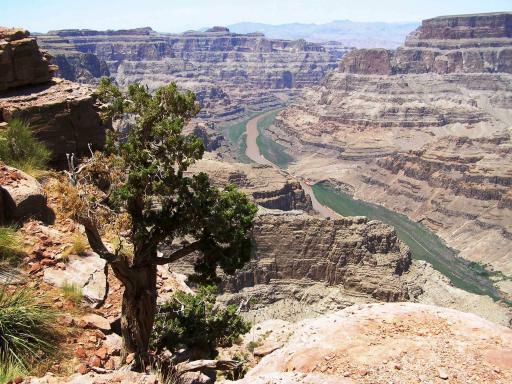 With surrounding views of the Canyon, this is the perfect spot to take panoramic pictures. Peer over the edge for views of the historic bat cave that once housed 100,000 tons of guano. 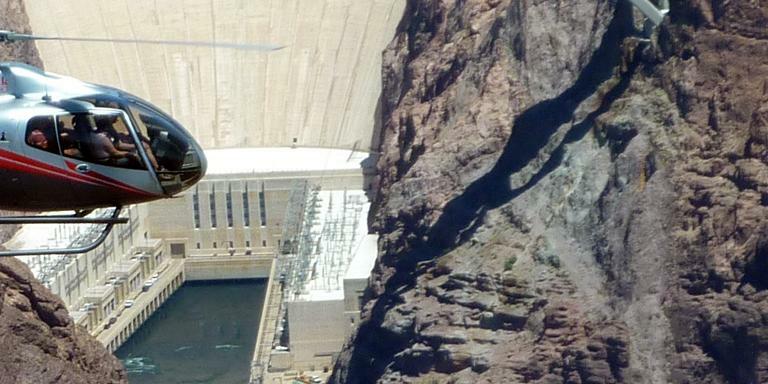 The second part of your itinerary begins with a tour of the Hoover Dam Power Plant. 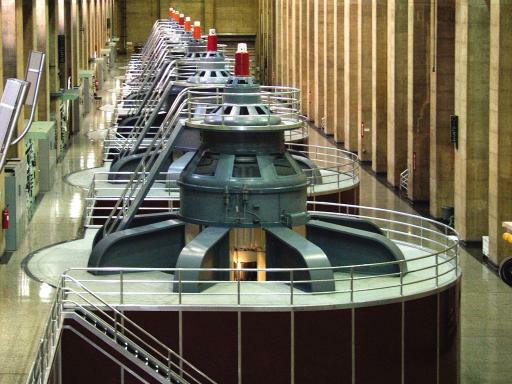 This tour is an interactive way to learn about the Dam’s history and operations. 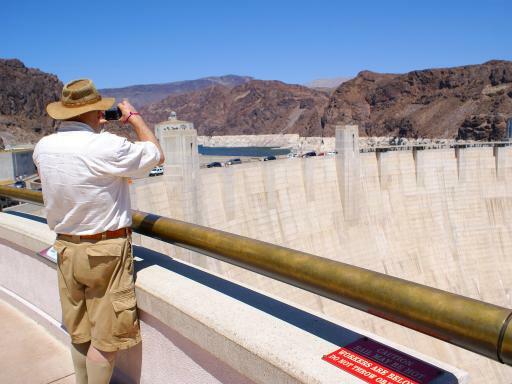 Your tour include comprehensive views showing the enormity of the Hoover Dam with all its operational features, through Reclamation guide presentations, audio and film presentations, and exhibits. 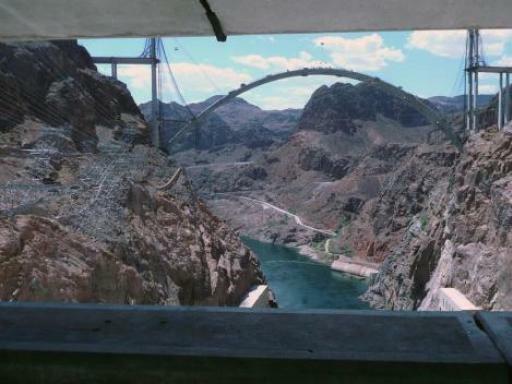 Then, step out onto the Hoover Dam observation tower and see the deep blue waters of the Colorado River below. There’s always time for quick stops throughout this itinerary so bring your cameras and your smiles. You’ll travel in custom built 10-passenger Tour Trekker, specifically built for sightseeing/off-road, or fully loaded 6-passsenger SUV tour vehicles. 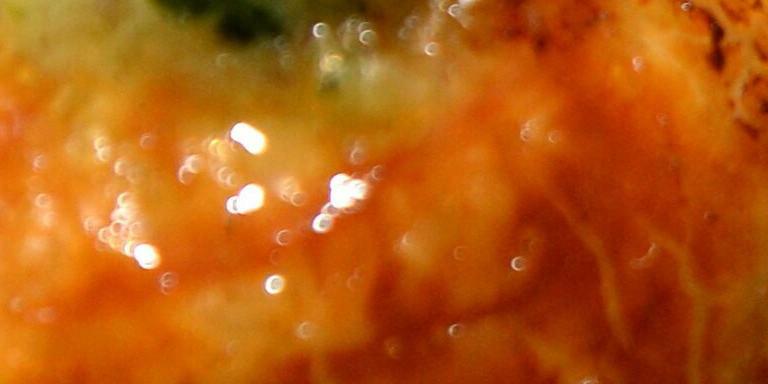 Tickets for the Grand Canyon Skywalk are not included. 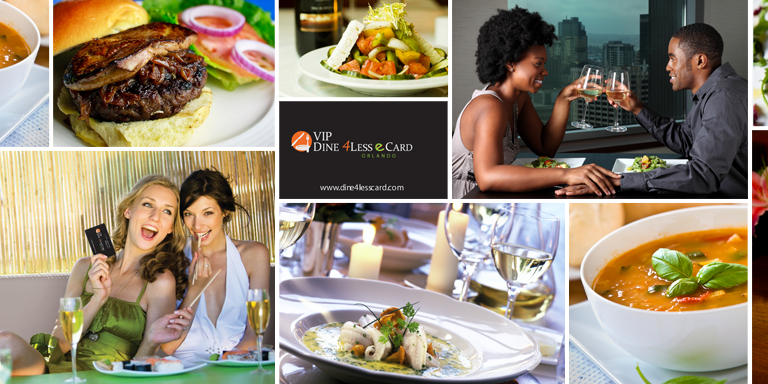 If applicable, these can be purchased from your tour guide on the day ($32.05 per person). No children under 3 years of age will be permitted and must be accompanied by an adult. Car seats will be provided although guests are welcome to bring their own. Nevade law requires children to be properly secured in a car seat until they are at least 6 years old and weigh 60lbs. 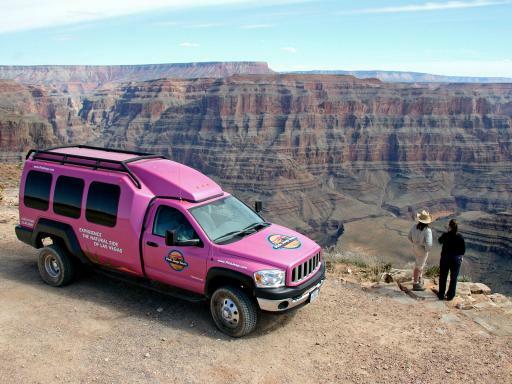 The supplier Pink Jeep Tours reserves the right to alter, modify or cancel a tour due toroad or weather conditions. Jeep tours are not recommended for anyone that has back or neckproblems, that is pregnant, or that has serious injuries.